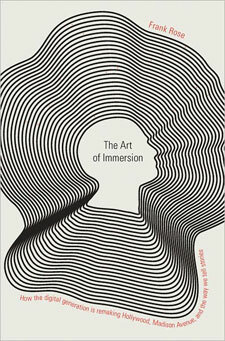 Last Friday, I went out to Brooklyn and hung out with Christina Oppold, the creator of the literary blog Stacked, to talk about The Art of Immersion, a book by Wired contributing editor that looks at the new forms of storytelling being built around entertainment properties like Avatar, The Dark Knight, and Lost. The result: a 50-minute conversation about (among other things) how these narrative innovations might affect the publishing industry, with occasional detours through the existential hysteria prompted by Dungeons & Dragons in the 1980s, the real meaning of Fahrenheit 451, the ascendancy of Amanda Hocking, and the transparent elitism of Andrew Keen. This was a lot of fun, and I know Christina has big plans for future episodes, so keep an eye out!